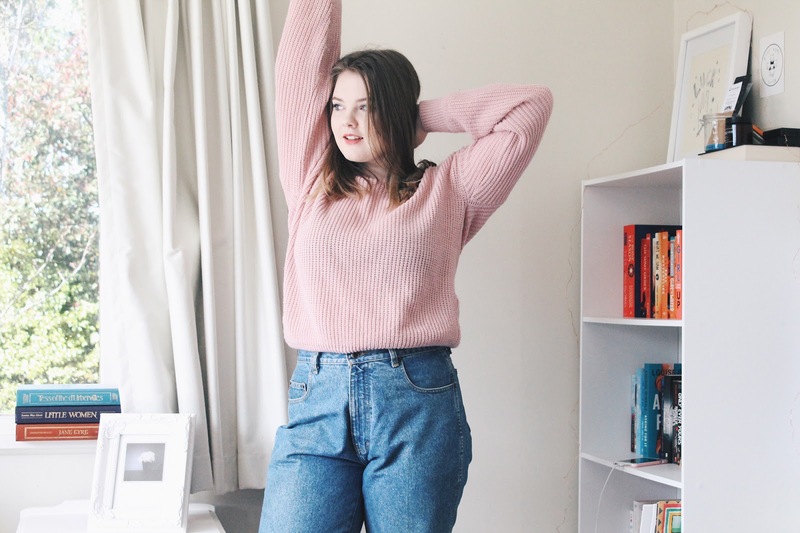 How I'm Styling Mom Jeans | emma etc. 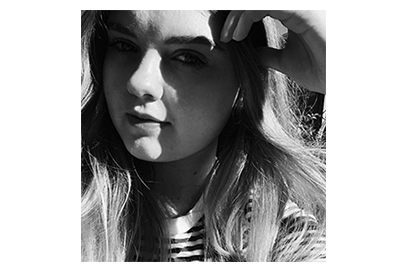 Hi everyone, I've had a bit of a blog hiatus recently because I was stuck in a creative rut and I've been busy with Uni. However, after about three hours of self-timer photos with no remote to focus my camera (#glamorous), I have somewhat of a result. 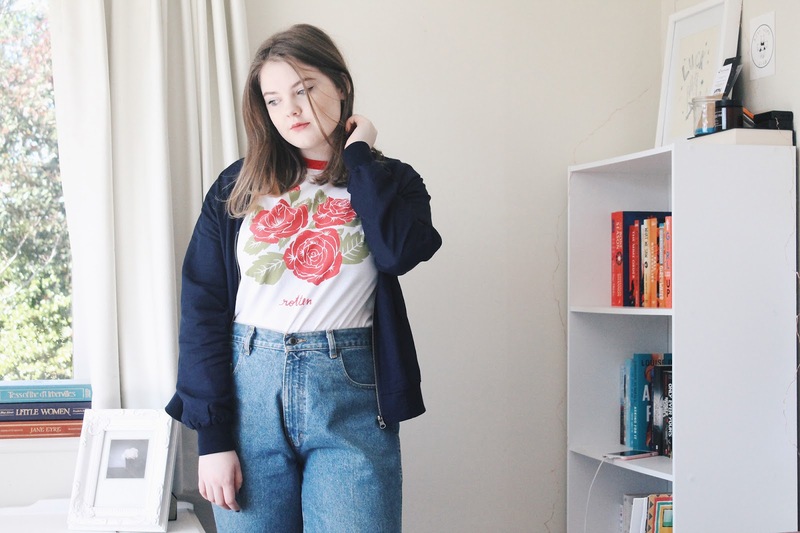 Here are three outfits I've put together after snatching up some dream mom jeans from op shopping the other day. I feel like these babies have changed my life, however unflattering they may be I just don't care because I can totally feel like Barb from Stranger Things in them.. 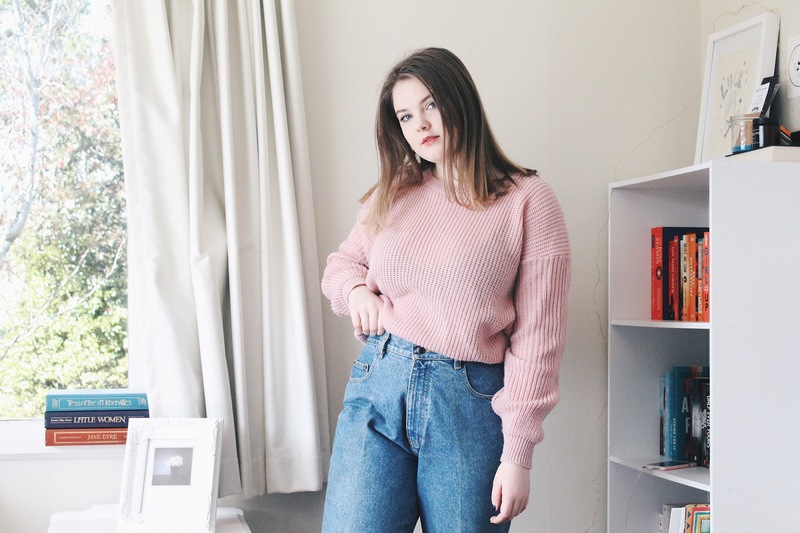 I happen to love the whole 70s/80s fashion comeback and combining these jeans with a baby pink jumper just gives me some Grease Pink Ladies vibe for some reason. 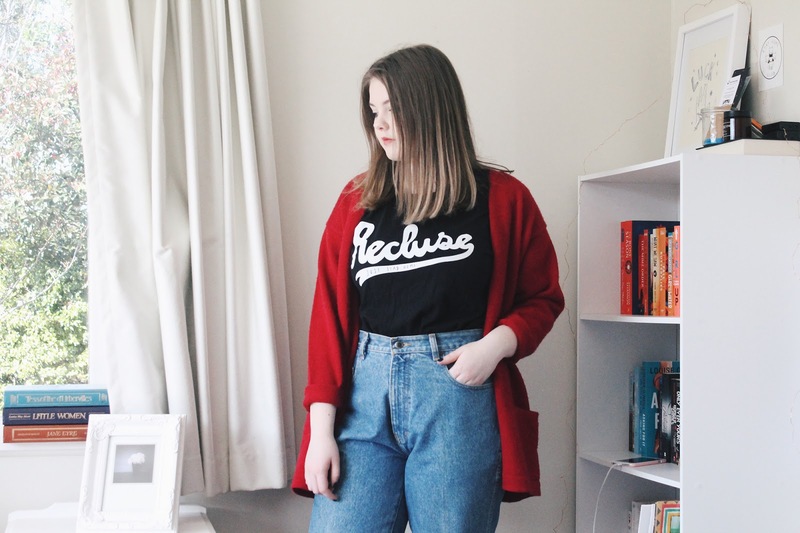 You can pretty much just chuck any colour jumper on with these jeans and I think making a statement with a bold colour can look really nice too. Understandably my new Stay Home Club threads have been getting some serious wear lately, but looking past that this red cardigan is something I picked up from an op shop recently. For some reason I specifically wanted a red cardigan - I have become obsessed with the colour red recently. 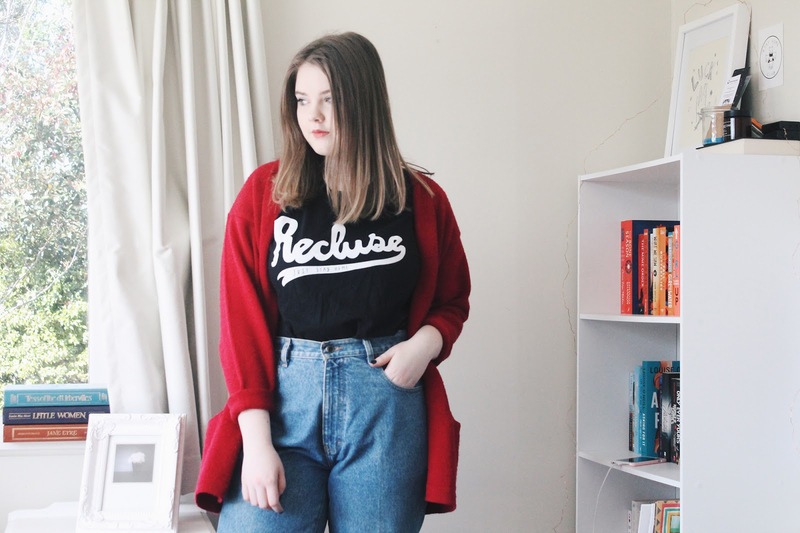 I think a good oversized cardigan looks so good with these type of jeans and you can't go past a good slogan tee (this one is from Stay Home Club FYI). I've been itching to wear this bomber jacket more and luckily the weather is starting to get a bit warmer. Bombers are such a 90s thing which kind of goes along with the throwback fashion I have going on here. 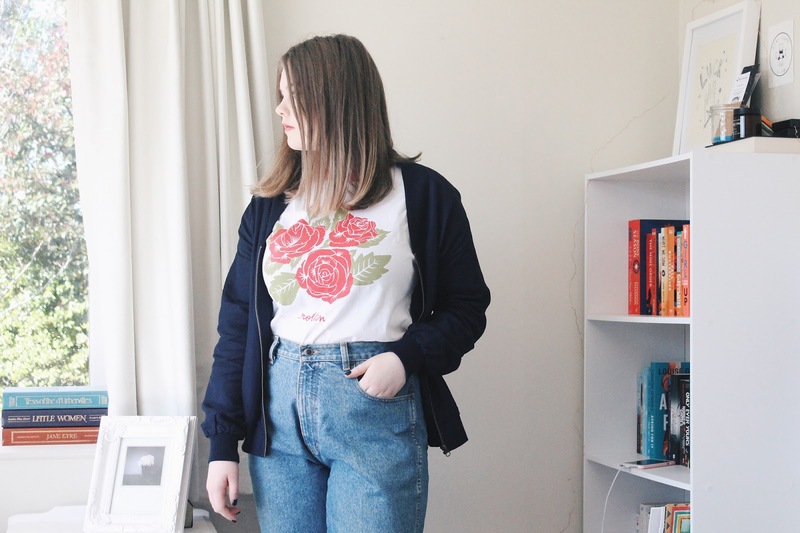 I have paired my bomber with another tee from Stay Home Club and this would look great worn on its own in the summer too. Which one is your favourite look? Have you tried out the mom jean look? All these outfits are super cute! I like the styling of them all. I am so not a mom jeans kind of person unfortunately :( I like long T-shirts and tunics, anything that hides my crotch area. I always feel super uncomfortable if people can see the zipper on my jeans haha. Haha I feel kind of uncomfortable about that too - I like wearing things that cover my but and stuff but I'm branching out a bit and I like it! But seriously, this look is so good on you. Great ideas! Cute! 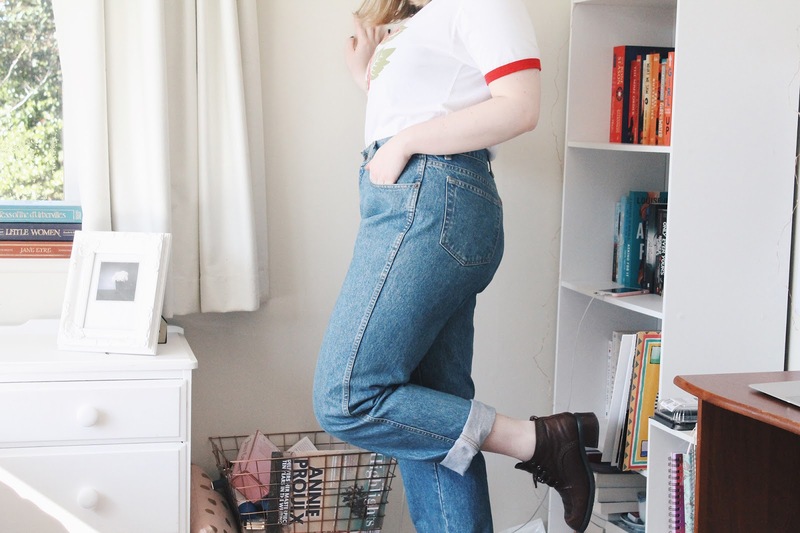 I love my mom jeans, I need to wear them more often!